Shed light on dental development with this illustrated brochure. 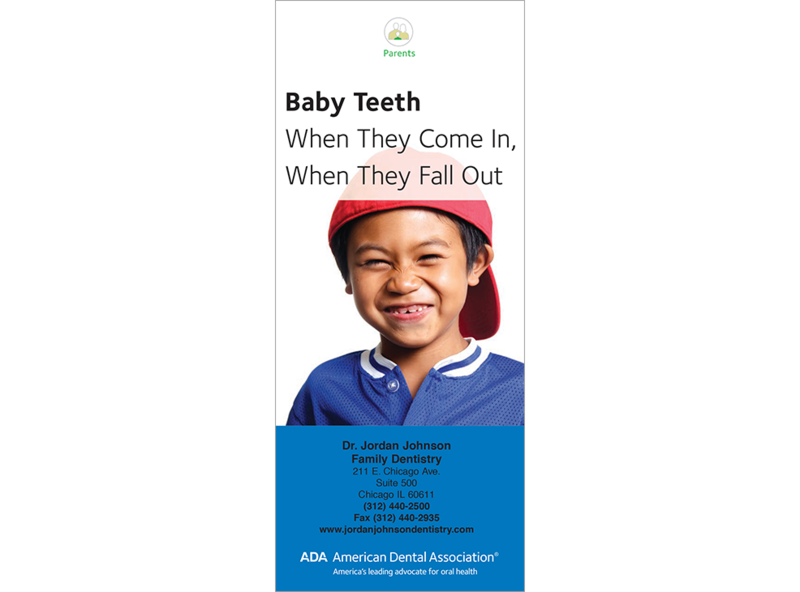 Features primary and permanent dentition charts and healthy smile photos, plus a diagram of permanent teeth forming in the jaw. Reassures parents that transitional dentition will often even out with time. Also gives the heads-up that age 7 is a perfect time for a bite check. 6 panels. Minimum order 150. Click Add to Cart then personalize for free. Now you can add personalized information on the front, back, or both covers on all brochures.